The voices heard most often in the food debate belong on the consumer side of the table: what foods are safe or nutritious or good for kids. We do not often hear the producers’ side of the story. 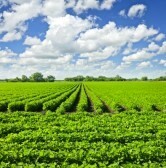 Many people say they do not want to eat food grown with the help of biotechnology. Consider what this Portuguese farmer has to say and consider the question afresh. This entry was posted in Farm Technology, Food Policy, Food Safety, Food Security, Hunger, Living and tagged Farming Technology, food decisions, food policy, food safety, food security, Green, Hunger, Living. Bookmark the permalink.